I love to travel and I love flying. One of the great advantages of living in a different country is I get to do it a lot. Most of us fly whenever going on holiday abroad, but I get to fly whenever I fancy seeing my lovely family and my amazing friends. I also appreciate the time when I don’t have an internet connection and neither am I tempted by switching the TV on. I call it “me time”. It gives me time to reminiscence, gather my thoughts together, to relax, to listen to whatever my favourite CD is at the time or even read a book for a full two hours without being distracted by my twitter or Instagram (I’m sorry guys!). It’s pretty amazing if you think about it. I’m just writing this post (3000 feet in the air) thinking how many times in a week or even in a month I have time to relax and do absolutely nothing…Right now I don’t have to stress about anything, I’m not in a rush to get places, no deadline to work for, no ringing phones, no notifications on a screen tempting me either. The hardest thing to do is to answer the stewardess if I like my coffee with milk or without! Sweet life. I haven’t had a chance to download any books this time and even if I had, I’m not sure what would I get my mind into reading anyway. I’m lost at the moment, I can’t really decide what I want to read, I haven’t had anyone recommending me anything good for a while and I was so busy working that I didn’t have chance to read any reviews. If any of you know of anything mind blowing, let me know, I would be very grateful! Potter. I just love to sink into the world of magic and enjoy the fact that my imagination is too wild to settle for most of the romantic books. I swear, my letter to Hogwarts got lost somewhere! So that’s about my travel books. I didn’t feel like reading, so I was left alone in my own world. It can get quite dangerous as well if you know what I mean. Thinking usually leads to overthinking, especially when you’re trying to figure out what’s the next step in your life. I like to plan and organise. Sometimes. Sometimes I love to go with the flow, letting my life or fate, if you prefer, to take over and see where it’s going to lead me. So I’m sat on a plane, making some notes what I want to achieve in the next few years. It makes it so much easier to take it from there and plan the near future. Once it gets figured out. I manage to scribble quite a lot on a paper….when I’m left alone, ideas just spring to my mind, it can get pretty wild in my head. There is just so much I want to do, try and achieve. Will I have time? I had to stop myself before I decided to run for the president of the entire world and universe! I believe this is the perfect time to write some posts for you lovely readers to read! How do you let the time pass when you’re on a plane? Let me know what’s your favourite book, maybe I’ll find one I’ll read next time I’m flying. Also, what makes you decide what to do with your life? 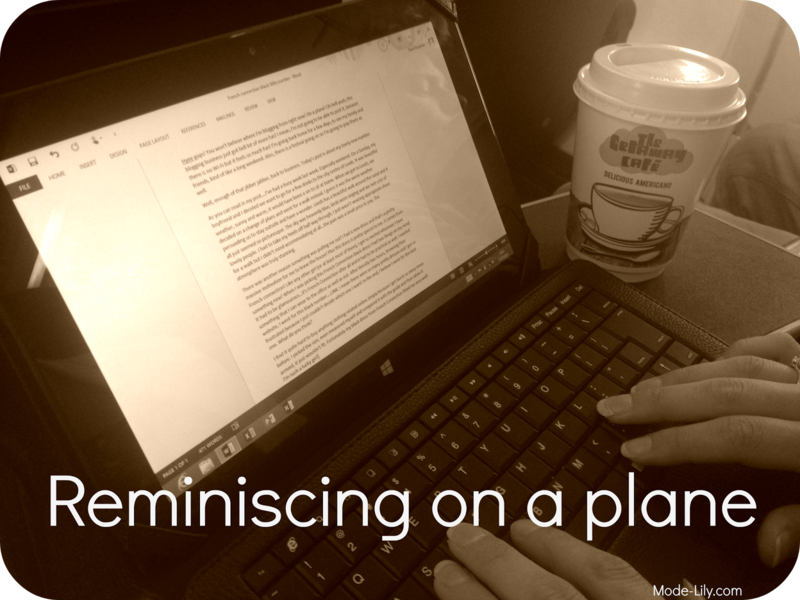 I took advantage of the time to write blog posts like you did when I went to Florida! wrote around 3 while I was on my way there and 2 on the way back, as well as sorted through my photos to make it easier to blog when I got home. Aw, 9 hours! That would be amazing, so much of a free time…I can only dream about that, haha. Hope you had a great time in Florida! I love flying, and I agree- it's so nice to switch off for a couple of hours! I usually just take my ipod and enjoy being able to sit back and relax with some music. I should really make a flying playlist actually next time I travel! Beautiful blog by the way, really enjoyed reading your posts!